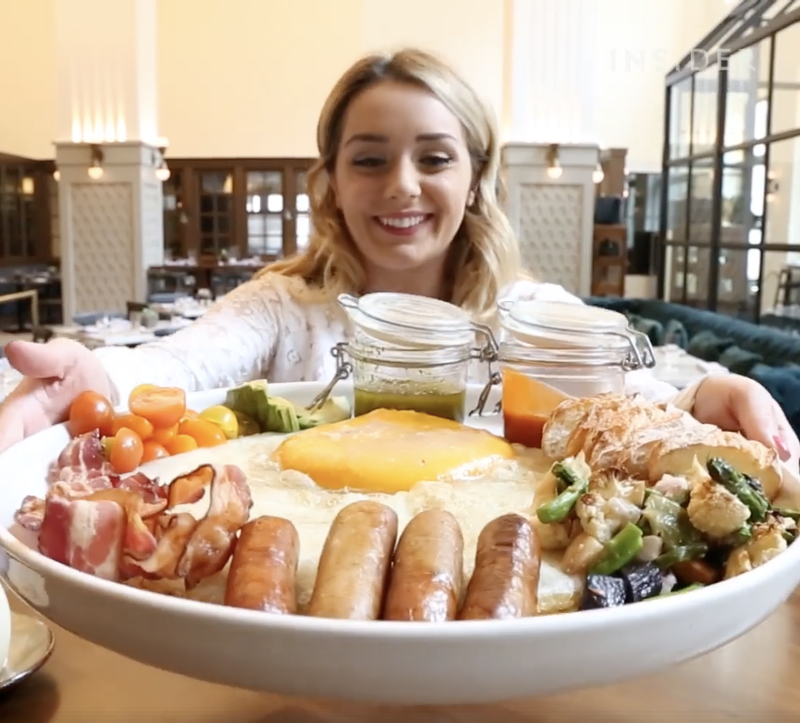 Downtown San Diego's Provisional Kitchen, located inside the Pendry Hotel in the historic Gaslamp Quarter, is currently the subject of a viral video due to the restaurant's behemoth ostrich egg brunch dish. Pendry San Diego's onsite farm-to-table restaurant Provision Kitchen is currently in the spotlight because of a viral video (more than 22 million views at publishing) that features one of the eatery's most grandiose dishes. Posted by Insider Presents, the Pendry's ostrich egg breakfast includes a sunny side up ostrich egg that is sourced from a local farm in Escondido, which weighs around 2-3 pounds and is equivalent to 16 chicken eggs, surrounded by fixings that include roasted potatoes, seasonal vegetables, bacon, sausage and a toasted baguette. The dish is available for brunch on Saturdays & Sundays from 9am-3pm at the cost of $75. Check out the video below featuring the monstrous creation, and visit Provisional Kitchen at 425 5th Avenue in San Diego's Gaslamp.